Why a website is required? The simplest but important question for your business is answered here. When the whole world is clustered on the internet, so why shouldn’t your business be part of the cyber world? In the current age of technology, millions of people are virtually online throughout the day and night either through their personal computers, laptops or through handheld devices. So it is more than pertinent for any business, big or small to be available on the web to maximize their profits. Moving forward and focusing on the targeted question as to why a website is required for the benefit of any business. Explained below are some of the most significant reasons to create a website for a small or a middle sized business company. When it comes to running of a business, the first question that stirs up in any sane mind is to how one should reach more and more targeted customers for their business? The answer lies in the fact that, as mentioned before people are on the web looking and searching through any kind of material that they want. They would simply type in the keyword for their search and if your business is what provides them with that product; the company’s website would emerge instantly on the search engine, which will lead the customer browsing into your website. Furthermore an increment in the magnitude of trust and credibility for the business by the customer is seen if a business runs a website. The layout of the website, the detailed information regarding the products plus contact information and feedback or suggestion for the products is what makes people put their confidence in your business. Another major reason for why a beautifully deisgned website is required for efficiently and effectively running a business is that many of other businesses, who sell the same products as your business, might already have a website, which has granted them edge over you and before they enchant your group of loyal customers to their business, you should urgently look into designing a website for your business. 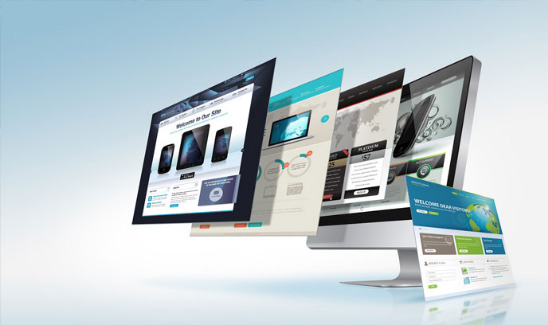 With changing trends and every changing price level in the economy, any business would be concerned regarding changing their sales policy or prices and to immediately let the customer know about these alterations one needs a well-organized website, for updating information of any sort is real easy and quick on a website. Marketing and promotion of a business is one the most essential element for any business may it be big or small. Hence it would be wise to say that this is another major motive as to why a website is required for betterment of the business. The advertising of your product is not only done during the day but it is working 24/7. This promotion is not done in your part of the world or area but people from all around the world can get access to your business website, which will eventually lead to more clientele and more sales for the business.